Zelo Street regulars will recall that, only a week and a half ago, I looked at the way in which the Murdoch press was not just sounding supportive towards Young Dave and his jolly good chaps, but veering into the realms of cheerleading. 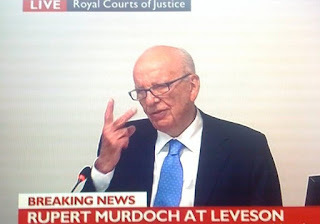 Having read the runes with due care I concluded that, given that with Creepy Uncle Rupe there is always a quid pro quo, the likelihood was that the Sky bid was back on. That's how many bladdy goes I get at bladdy taking over 100% of bladdy Sky, ya bladdy Pommie drongoes! The Murdoch empire, despite its association with the UK’s dominant satellite broadcaster, owns just 39% of it. It was the previous attempt to secure the other 61% that was abandoned four years ago as the phone hacking scandal finally reached critical mass. Murdoch wanted so much to be able to get his hands on 100% of Sky that he was prepared to close his biggest selling UK newspaper to close the deal. But not even closing the Screws was enough, and it was thought that all was lost. But, having been rebuffed in an approach to Time Warner last year, it seems it is not just me that has come to the conclusion Murdoch is looking once again at Sky: Alex Spence at Politico told “Enders Analysis, a respected media consultancy, gave intellectual weight to the question Wednesday, asserting in a research note that it was a question of ‘when, not if’ Murdoch has another shot at buying the 61 percent of Sky that he doesn’t already own”. The counter-view is that everything has, as Tone used to like putting it, “moved on” since 2011, but the Murdochs, as the Guardian suggests, are loath to let go of their Sky stake. There have been two recent offers made for that 39%, one from Vodafone and the latest from Vivendi, which owns French pay-TV operator Canal+. “However, the talks did not progress, it is understood, because of the price expected by the Murdochs. They wanted £18 per share for the 39pc stake in Sky, which they control via 21st Century Fox, a 73pc premium on its current trading price” noted the Telegraph, and a premium that high suggests either supreme optimism - or an underlying reluctance to sell. The Politico analysis explains why this should be. 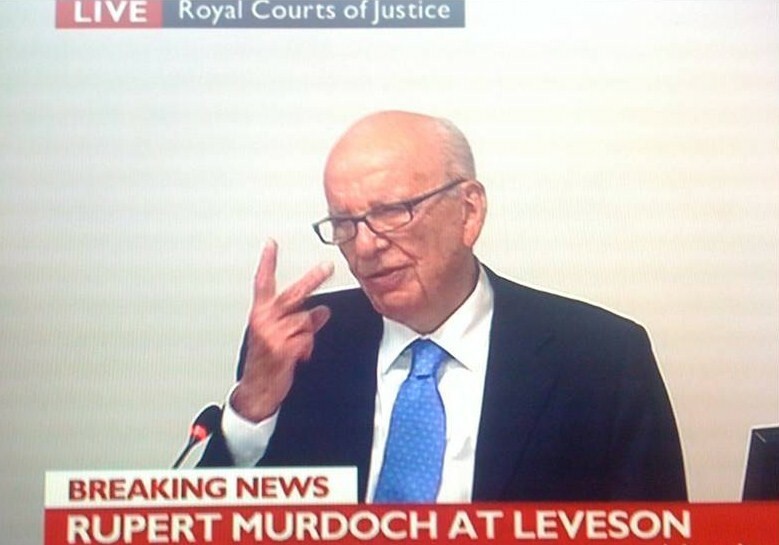 “The argument in favor of a renewed bid for Sky, expressed in the Enders report, is this: Murdoch really wanted the other 61 percent of Sky last time, and he would have got the transaction past regulators had phone hacking at the News of the World not blown up when it did … The commercial logic for the deal has, if anything, strengthened in the four years since it was abandoned”. And there’s more evidence. “Owning Sky would give Fox ‘the biggest footprint of any platform distributor in Europe’ … And the main obstacle to the deal - the political opposition aroused by phone hacking - has largely dissipated … The public’s appetite for bloodletting appears to have been exhausted by the Leveson Inquiry … Moreover, Westminster is now controlled by a Conservative government that is perceived to be friendlier to Murdoch”. The latter point is where I came in last week. Rupert Murdoch does not do cheerleading for free. Murdoch Junior is back in the saddle. Their desire to close this deal would outweigh any opposition that could be mustered. With the BBC weakened by constant bullying and threats by Rupe’s pals in Westminster and other papers, there won’t be a better time to strike. He doesn’t take no for an answer.